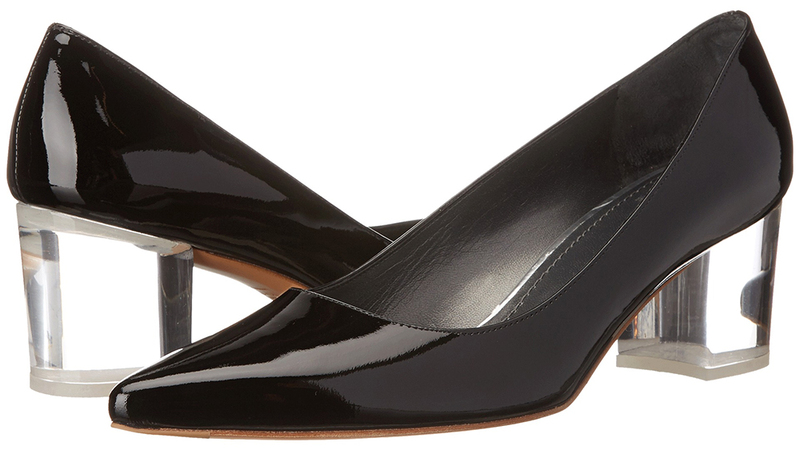 I know what you may be thinking, what's the point of a short blocked heel? But hear me out, they may remind you of the 90's and you may think of old ladies when you think of a short blocked heel, but these new blocked heels with interesting patterns, materials, and silhouettes are a refreshing interpretation of the blocked heel. Most importantly, the heel height and chunkiness of the heel won't have your feet screaming at you at the end of the day. 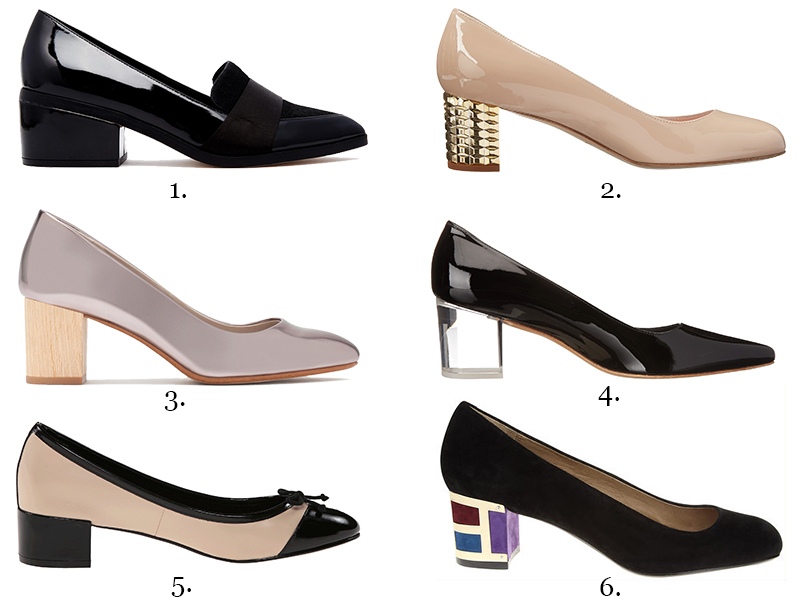 In addition, Salvatore Ferragamo Varas have a short block heel and they're undoubtedly classic iconic shoes. Click through to see some blocked heel styles I'm loving lately.